So I’ve been a bit on the lazy side lately. 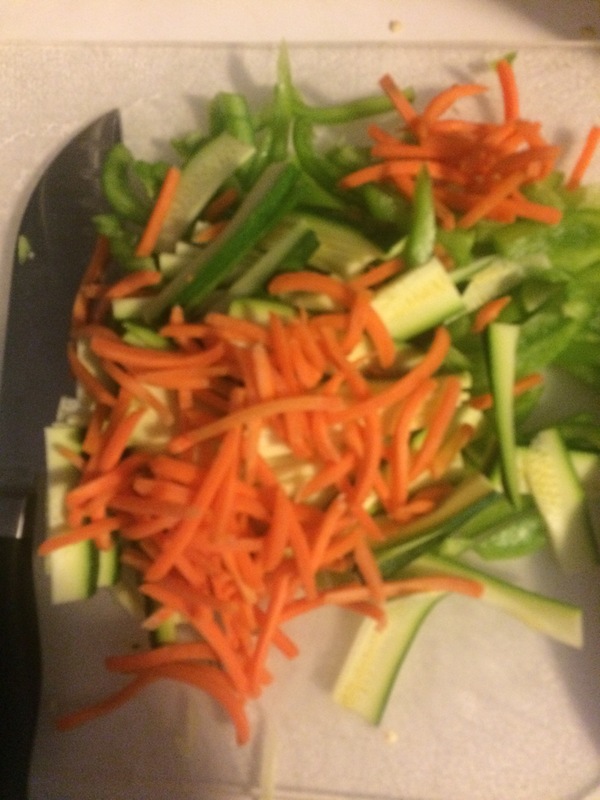 Also, a bit on the busy side, so I forgot to post the last two weeks of dinner club. I will say this though. Nothing super extraordinary happened in dinner club the last two weeks. 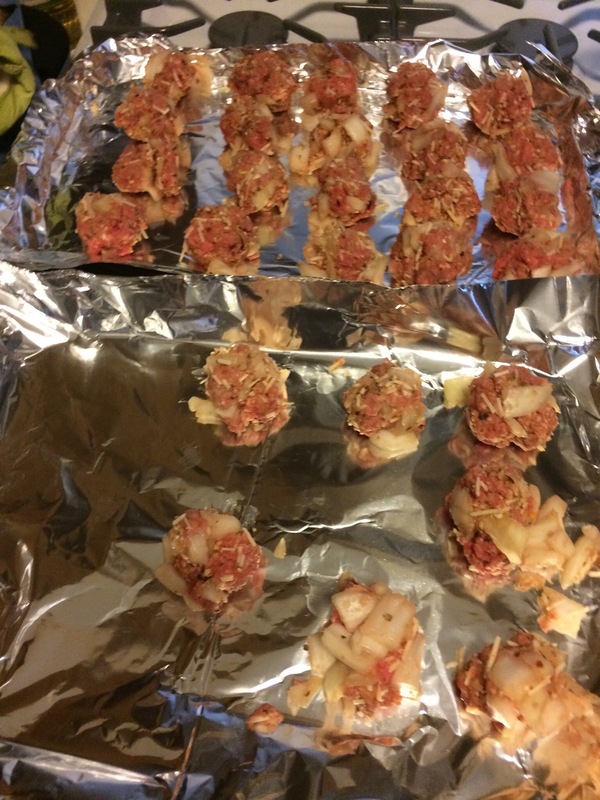 Well, we did find a good meatball recipe and a questionable hamburger recipe. 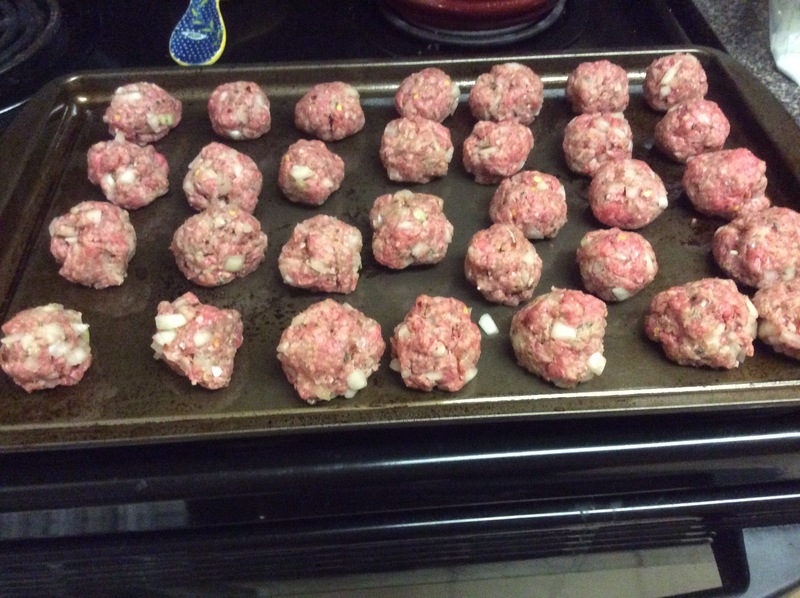 meatball beginnings. 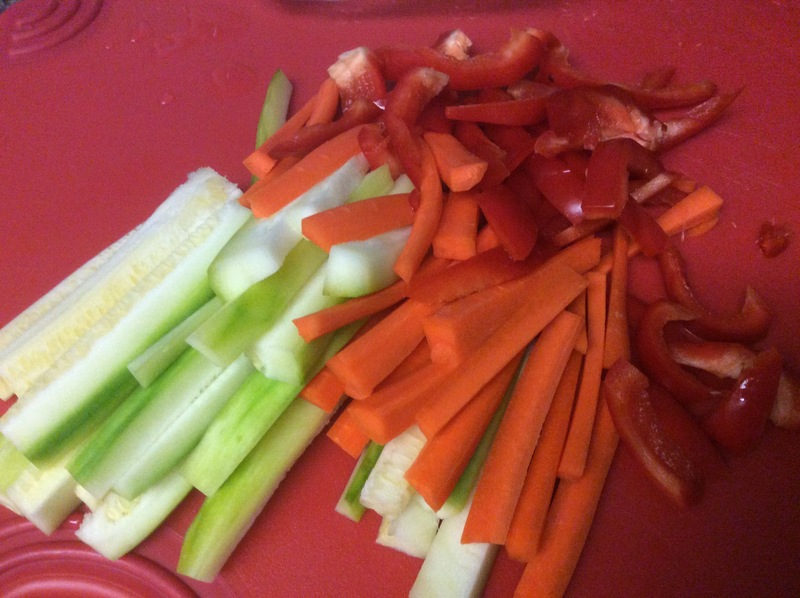 mixing it all up. 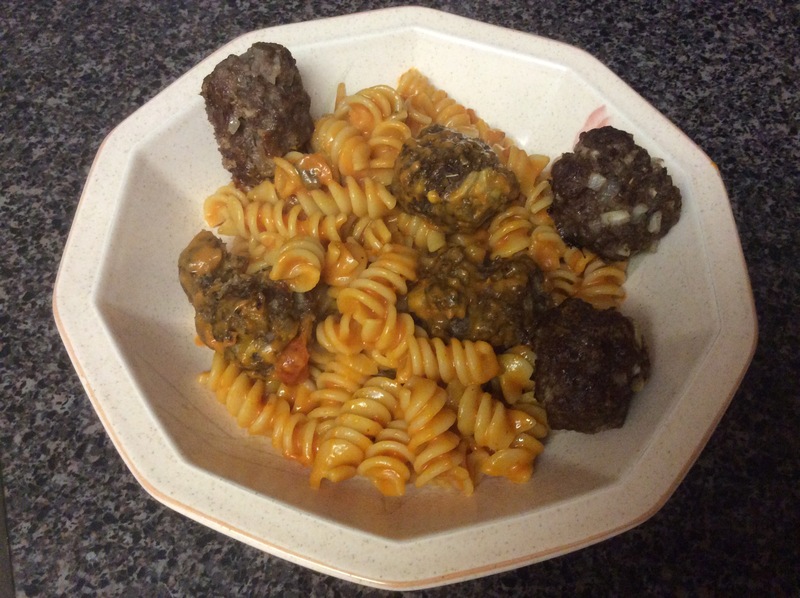 So the meatball recipe is from Allrecipes. You can search for it and it’s probably one of the first ones to pop up. It was a good recipe. 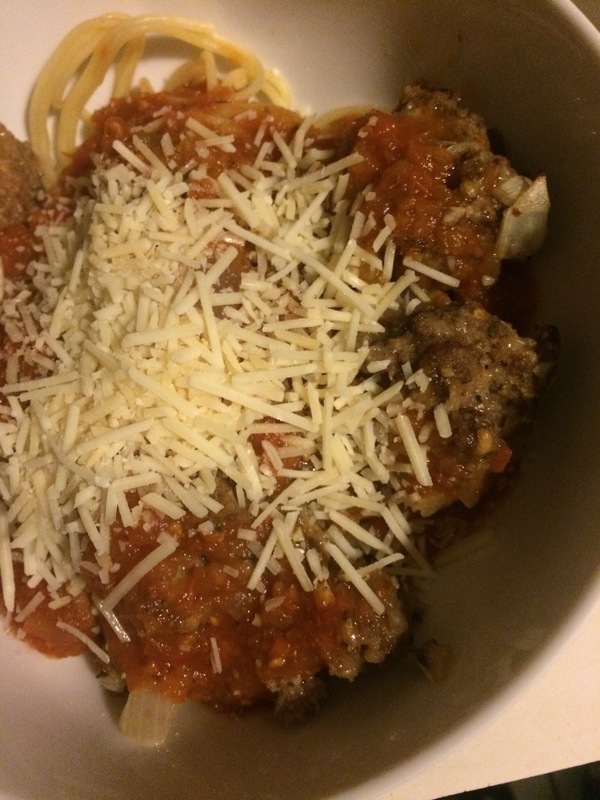 I slightly overlooked my meatballs and I over did it with the hot sauce, but overall it was good. 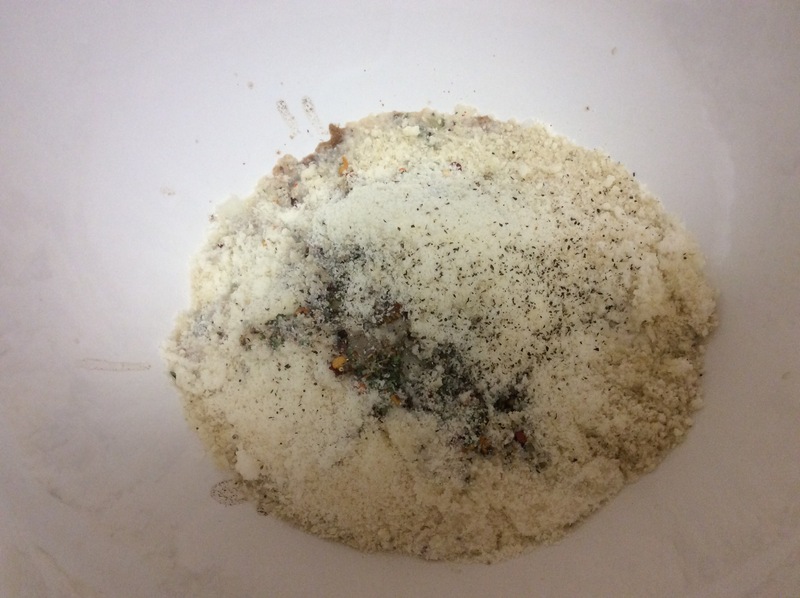 I also didn’t use Italian seasoning because I was being lazy and didn’t want to go to the store. I just kind of made my own not so good version that was mostly basil. Kim’s turned out super good as well, but she was more cautious with the hot sauce. So everyone’s meatballs came out excellently. Erin’s were perfect, because Erin is perfect. I’m just putting that out there. kim’s final product. it looks much prettier than mine. i ran out of cheese. Dinner Club session number four was my pick. 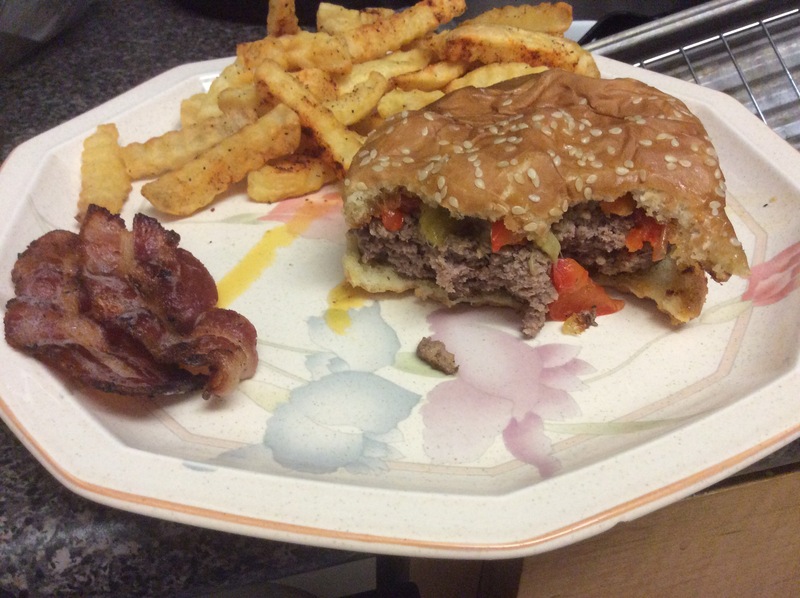 It was a Caribbean burger recipe from the Food Network mag. 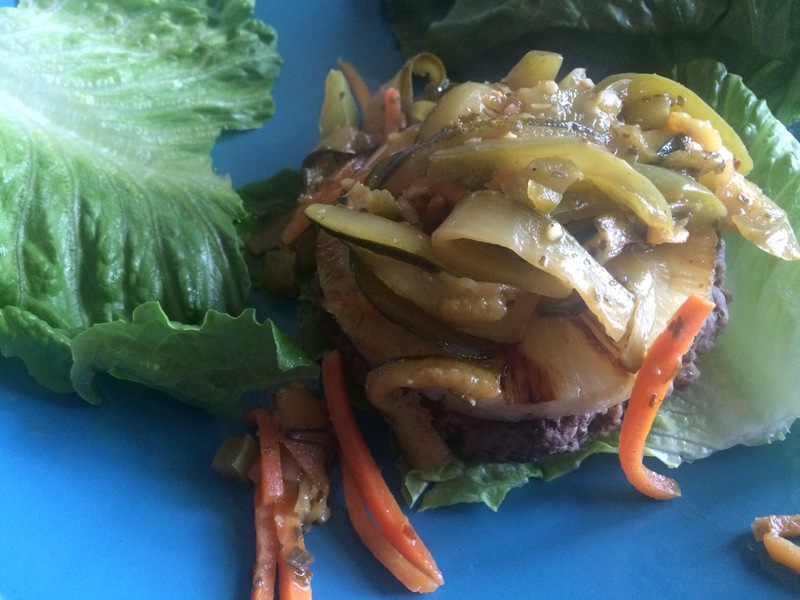 It was burger topped with bell peppers zucchini and carrots simmered in a jerk sauce. The burger was good. I enjoyed it. My husband liked it, but Kim’s husband wasn’t a fan. One thing that annoyed not me and Kim was that you made a giant batch of sauce and then used only a 1/4 cup of it. 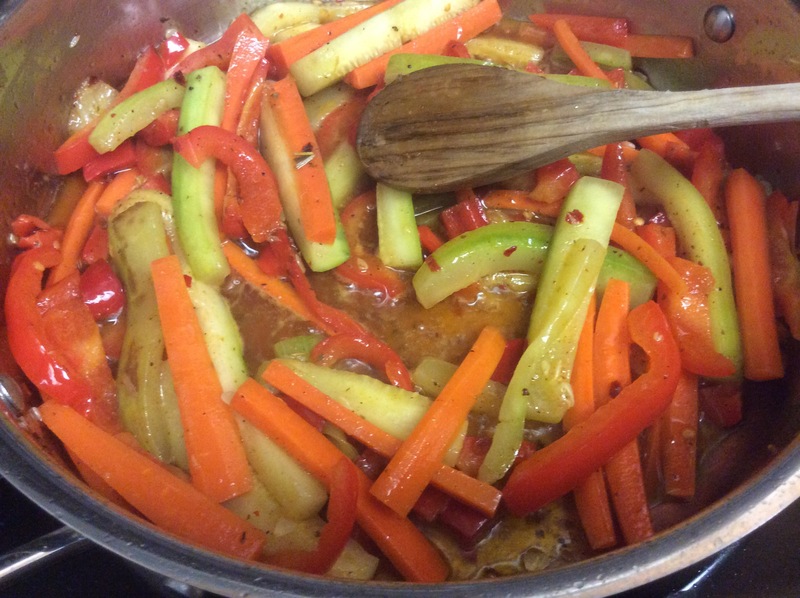 So you ended up with a bunch of leftover sauce. I wasn’t a fan of this, since I now have to come up with a way to use the rest of the sauce. Ultimately I don’t think I would make this one again. It was good, but it wasn’t good enough to make it worth it. Kim’s burger looks so pretty! It’s also bun-less. Which is a good idea. In celebration of Easter, I decided to whip up two batches of macarons. I had my standby lemon ones (which I must admit are my favorite so far), and something a little different, rose cream macarons. This is my second time making lemon curd. Or maybe my third. I can’t remember. It is my first time to compare two different lemon curd recipes and realize that it probably works best with only the yolks. Don’t add the whites folks. They cook and then you have lumpy lemon curd. For some reason I don’t remember this happening the first time I made it. Even with the slight issue with the curd, these were amazing. They always taste amazing, and they looked amazing this time as well. Now for the rose cream. Anything with rose or lavender kind of scares me a bit. I’ve had some really delicious rose desserts before, but on the other end of the spectrum, they sometimes taste like soap. 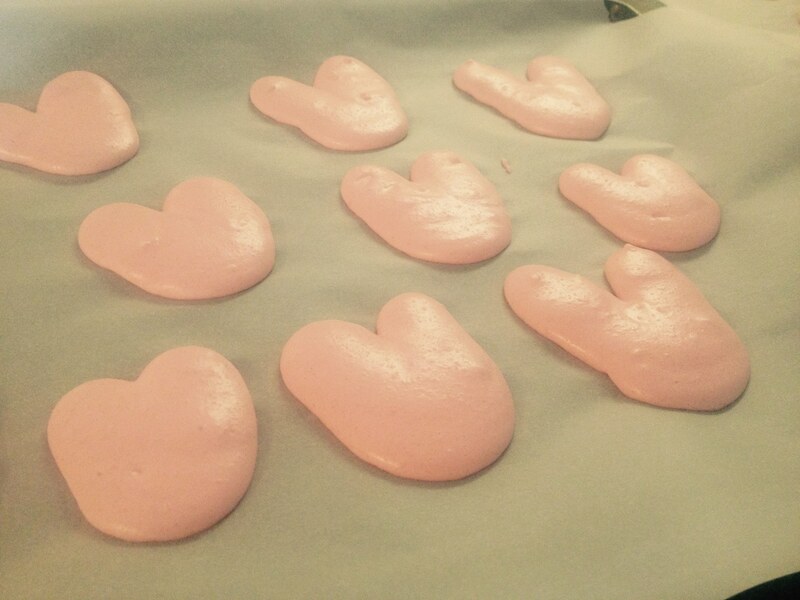 So going through all the effort of making macarons and having them taste like soap, would be a terrible defeat. So right out of the gate these made me nervous. Rose syrup and rose water. Smell divine but hard to find. The second issue with making rose cream anything is finding the ingredients. 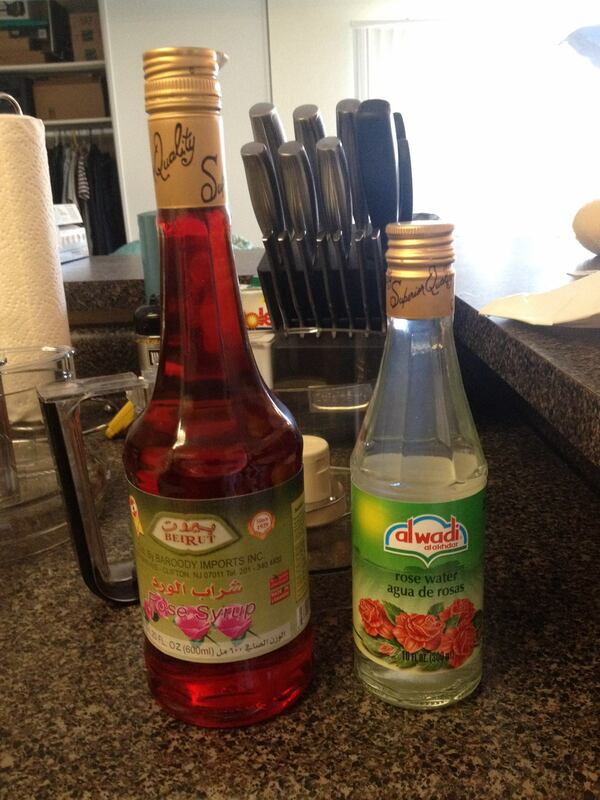 Apparently, not every grocery store carries rose water, and even fewer carry rose syrup. To be honest I had never heard of rose syrup before this exercise. 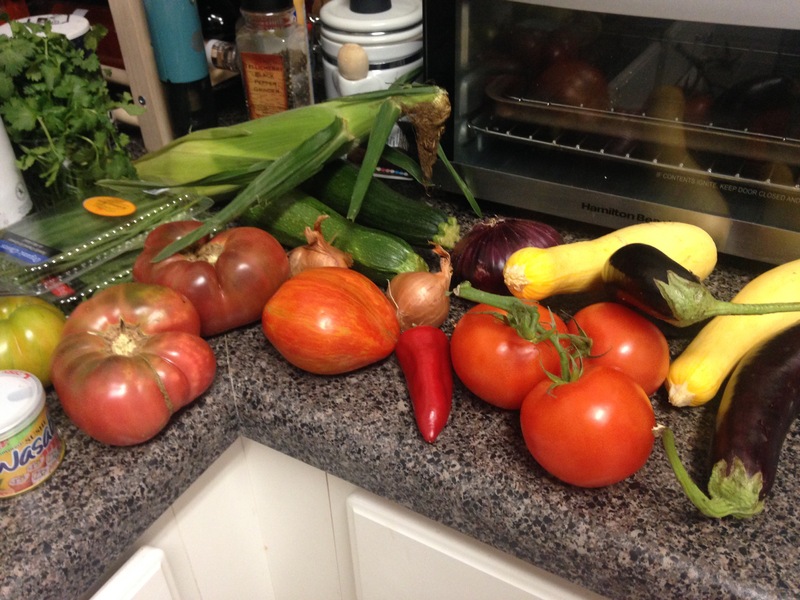 I started out at Whole Foods which seemed like a safe bet, and I guess it was relatively. They did have the rose water. They also had orange blossom water which I have noted for future recipes. They did not have rose syrup though. On the advice of a friend, I tried the international supermarket circuit, since rose is a more common ingredient in middle eastern cuisines. This did work and I actually have a little international supermarket down the street. It’s more of just a market than a supermarket though. However, they had many yummy looking desserts and plentiful amounts of tea. They also had rose water and orange blossom water for about half the price of Whole Foods. So if you’re in the market, check one of these places out. After finding the correct ingredients, the rose cream was actually really easy to make. It was mostly butter. Seriously it tasted like floral butter. That doesn’t sound so good, but it was. And my fears of it tasting like soap were alleviated, because it didn’t. Not even close. I attempted to pipe bunny macarons. It didn’t work out so well. They look like hearts, or butts depending on your perspective. I also attempted to pipe bunnies with the macaron batter. My first attempt at doing something a little fancier than circles. Well, I think I’ll be sticking with the circles for now. Even that sometimes gives me issues. I also managed to dump and entire tray of shells on the floor. I think a little piece of my soul died with those cookies. Note that this is why it is always a good idea to have a bottle of wine on hand before beginning the macaron process. In the end, they turned out magically. But it’s always an experience. 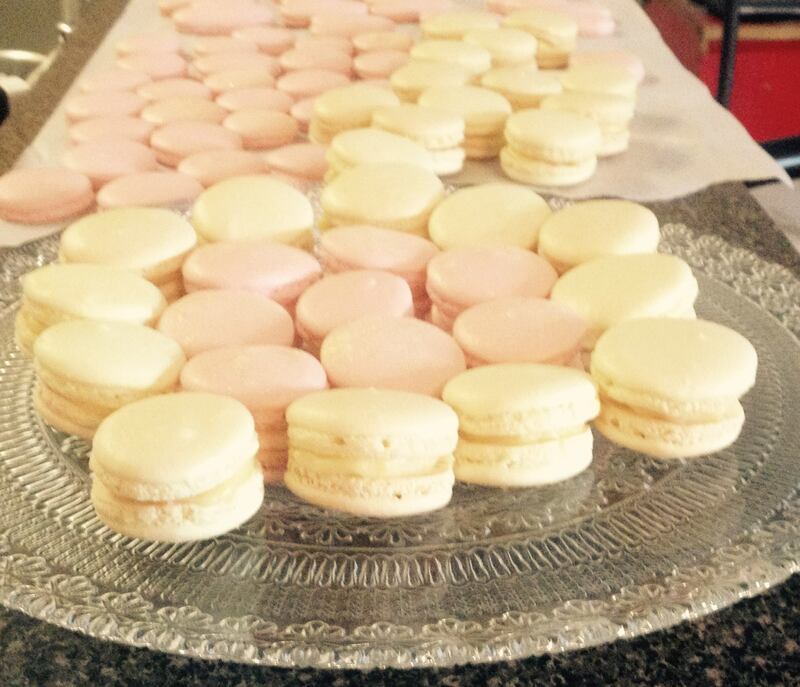 Completed rose cream and lemon macarons for Easter.